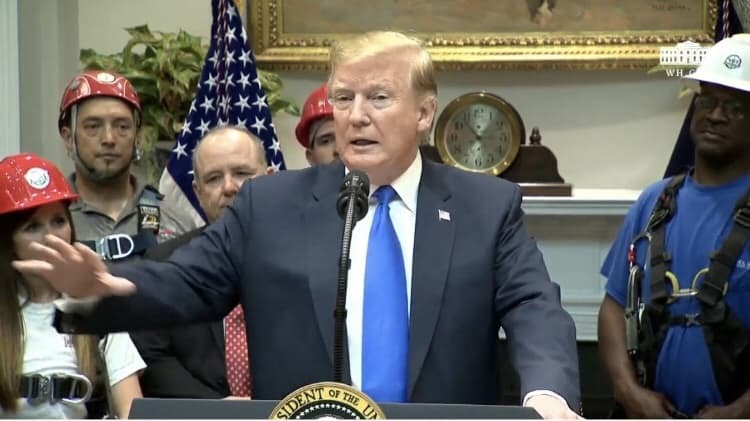 President Trump has strongly suggested that undocumented immigrants picked up by federal officials at the southern border might be released in so-called “sanctuary cities” to presumably punish and bully into submission opponents of his harsh immigration policies. However, this proposal has not intimidated the Connecticut communities that might be prime targets: Hartford, New Haven and Windham. If anything the reply to the White House and its Immigration and Customs Enforcement (ICE) arm from leaders in these sanctuary essentially has been “bring it on.” Moreover, it was made clear that any asylum-seeking migrants that might be shipped to these communities should expect a “welcome neighbor” greeting. “I am fine with him releasing immigrants in our city,” said Tom DeVivo, Windham council president who was filling in for an ill Mayor Victor Funderburk. “I am sure the [president] thinks we care, and we are scared of new neighbors, but we aren’t,” DeVivo said of the state’s smallest sanctuary city. Early in 2017, the town of Windham took on the sanctuary mantle by approving policies that would limit cooperation with ICE. The resolution. written by town councilors Dennis O’Brien and Charles Kritch, essentially says that no town employee, elected or appointed official will detain or report someone based solely on his or her immigrant status. Any welcoming committee in Willimantic is like to include Yolanda Negron, a former council member, civic activist and vocal member of the Hispanic community. Hartford Mayor Luke Bronin also stated that the migrants would be welcomed not feared. In 2008, Hartford passed an ordinance to prevent police from arresting or detaining anyone solely because immigration authorities had issued an administrative warrant for them,and also prohibits other city employees from asking anyone seeking services about their immigration status. Trump’s plan to send detained immigrants to sanctuary cities had appeared to be a non-starter. This proposal had been broached at the White House more than once in recent months but was reportedly pushed back by several administration members including Kirstjen Nielsen, the now fired Department of Homeland Security secretary. “We can give them an unlimited supply, and let’s see if they’re so happy,” President Donald Trump said. Throughout his presidency, Trump has expressed displeasure with sanctuary cities by threatening to cut off some federal aid. This targeted immigrant dispersion strategy was hatched by Trump, according to The Washington Post, to heap political vengeance on Democrats, especially his arch nemesis House Speaker Nancy Pelosi, whose San Francisco district was considered as a prime destination for busloads of detainees rounded up at the Mexican border. However, there also were reports that detained immigrants also might be sent to small and middle-sized sanctuary cities, a category that would include Hartford, New Haven and Windham. Bronin said there are responsible ways to address the increase in migration at the southern border. These include funding immigration courts and facilities to process asylum claims humanely and quickly, he said. New Haven officials did not apply to requests for comments about Trump’s considering a plan to ship migrants to sanctuary cities. However, Mayor Toni Harp did issue the following statement reported in other media.